Aquatic plants predominantly grow in water. They vary greatly in type, with some being quite similar to common land plants while others are quite different. Aquatic plants fall into one of four common class types: algae, floating plants, submerged plants and emerged plants. Grouping is based on the positioning of their roots and leaves. Aquatic plants comes in a large variety of shapes and forms. Algae are the oldest and most common type of aquatic plant. They are found primarily in the ocean and they have no roots, stems or leaves. Algae are extremely small but they are the basis of the ocean food chain. Examples of algae include lyngbya and muskgrass. Floating plants are not attached to the water's bottom, but they have roots which absorb water. 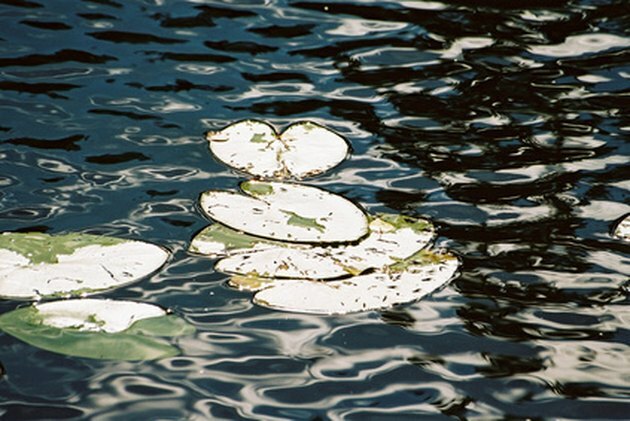 Floating plants can be found in fresh or salt water. The leaves of these plants are firm and remain flat in order to absorb more sunlight. 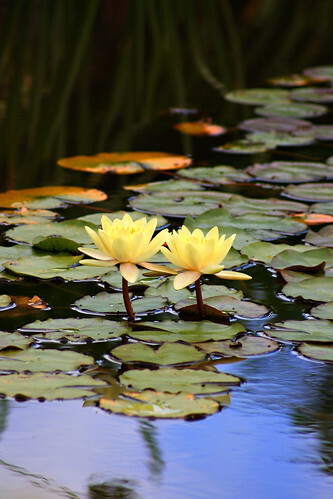 Common examples of floating plants include various types of lilies (such as the water lily or banana lily) and the water hyacinth. Submerged or submersed plants are rooted to the water's floor and most of their vegetation is under water. The leaves of these plants are thin and narrow. Examples of submerged plants include hydrillas and bog moss. Emerged plants (also known as emersed) are rooted to the ground of the water but have most of their vegetation above water. These plants need constant exposure to sunlight. Examples of emerged plants include knotweed and redroot. What Plants Live in the Deep Ocean?